How does it impact your transaction? 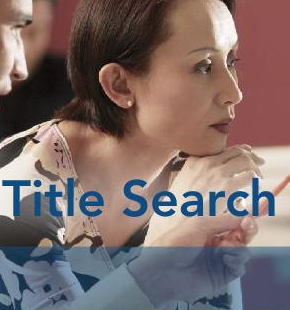 It is helpful to understand what a title search is and why you need it done. The information obtained can be accessed remotely in MD via online public records and by physically going to the court house to search the public record books. The first and probably most important aspect of their search is to make sure that there is no breaks in chain of title, in other words that the ownership has been transferred correctly through the life of the property and no one else could potential claim ownership in the property. Abstractors also look for any liens or encumbrances that are on the property. So how far back does the search go? For a purchase it is customary for a 60 year search to be completed, as for a refinance typically most title underwriters only require a one owner search, while some companies will go for a two owner search to make reasonable efforts to determine the property is free and clear of encumbrances to title for your protection and the protection of your lender. Usually, at title search is done by an independent abstractor. The abstractor’s job is to run a search on your property or the property that you are looking to purchase. But what exactly are they looking for and where? An abstractor or searcher will access public record for the particular county that the property is located. The abstractor creates the report for the title company to complete a title exam. It is the title company’s responsibility to clear any defects in the chain in title or to clear any unreleased deeds of trusts among other things. The title exam for the title insurance company contains the information or data that the title company uses to determine the insurable risk of the title insurance policies for both the lender and the purchaser they intend to bind for coverage. The world is becoming more digital for real estate title search information gathering. Access to the information an abstractor will use for title search data is becoming more readily available online. We expect and hope soon there will not be a need to send people to the court house in person to review any public records. The digital age is making this task easier and easier every year for anyone to access public records but the system is not perfect yet. So the importance of a complete title search is essential to providing the protection of the biggest investment that most people will ever make in their life. Since most people do not realize that prior owner judgments and liens can attach to the property that you have just purchased. This is brief description of what a title search is and why you need one to obtain a title insurance binder and policy but it is not a complete explanation and doesn’t cover every detail of the process. If you have any questions consult a properly licensed title agent or real estate attorney. 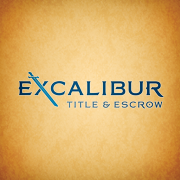 In Maryland Excalibur Title and Escrow is happy to answer your title search and abstract questions and looks forward to it.